Home < News < A ‘Certified Local’ – that’s us! A ‘Certified Local’ – that’s us! As a leading Not-for-Profit organisation, Forrest Personnel in conjunction with the Bunbury Geographe Chamber of Commerce and supported by MLA, Don Punch has worked closely on a ‘Certified Local’ campaign. The new campaign urges consumers to think local when purchasing community services like NDIS or disability employment services. 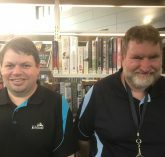 “Certified Local recognises community service organisations that have their origins in Bunbury and who continue to provide localised services tailored to the needs of our community. 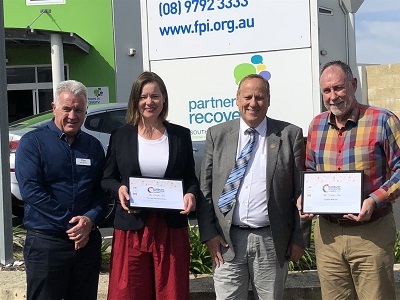 CEO BGCCI Mark Seaward, CEO Forrest Personnel, Anna Bagshaw, MLA, Don Punch and CEO Enable, Robert Holmes at Forrest Personnel Friday the 9th of November 2018.